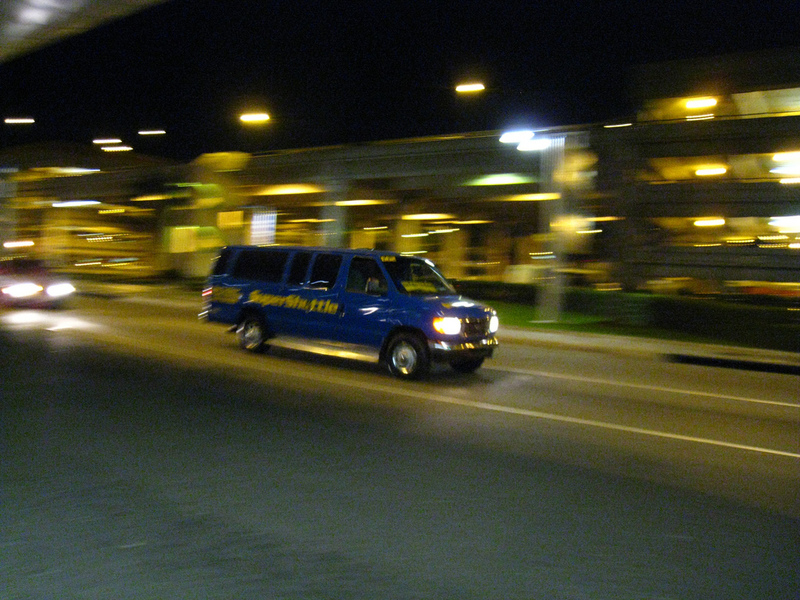 You’ve seen the SuperShuttle vans, and probably more than once — they’re blue, with gold lettering, and they’re all over the place — in 26 cities, it turns out, serving 33 airports. SuperShuttle’s like a shared taxi — the vans pick up and drop off passengers who live in roughly the same geographic area. You spend a little more time on the road, traveling to other passengers’ homes, but the price is pretty good. I suggest, by the way, telling the reservations agent that your departing flight is leaving a half-hour or forty-five minutes earlier than it actually is. 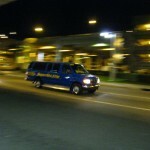 Otherwise, in my experience, vans sometimes arrive at the airport closer to departure time than I’d like (I prefer to get to the airport an hour and a half before a flight, especially with a dog). On one memorable occasion, the van broke down, and I was super-grateful for the extra hour’s cushion I had built in to our departure time.